So, you've decided to make a cake... but you're about as Great British Bake Off as a sack of spuds! 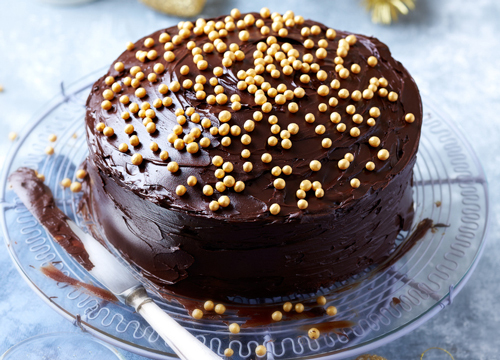 We know you don't want to be rolling out fondant or faffing about with marzipan in the lead up to Christmas, so why not try these deceptively simple chocolate cake decorating ideas. 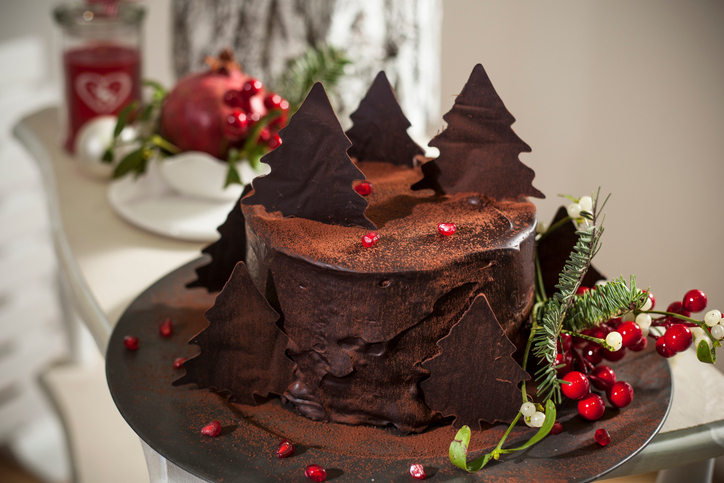 When you're in the supermarket, look out for baking chocolate with 70% cocoa solids to make some decorative christmas trees for your cake. Very gently melt the chocolate, either over a bowl of warm water on the hob or in the microwave, before drizzling it in the shape of christmas trees over a piece of non-stick parchment or baking paper. Put in the fridge to cool and gently peel them off and place around your cake when they're set sold. Dust with a tiny bit of cocoa powder for that extra Christmassy finish! 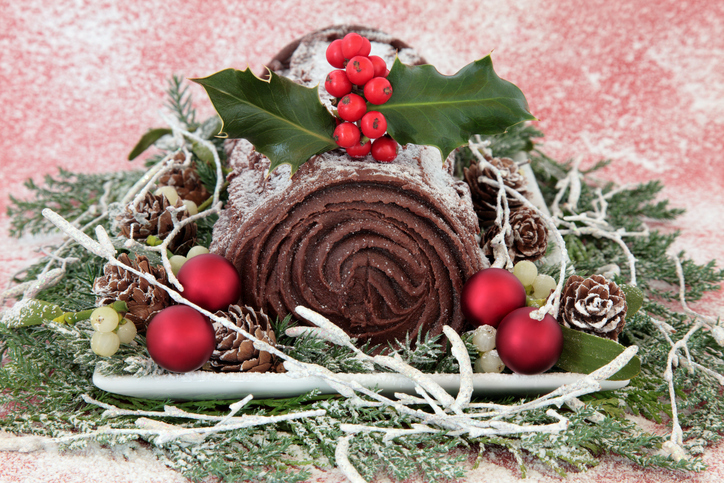 Transform an 'old favourite' recipe, like a Yule Log cake or a plain chocolate sponge cake into a masterpiece with a few well-chosen adornments. A bright green sprig of holly with red berries will look great as a cake topper, as will some mistletoe, pine cones and baubles. This is our go-to decoration if we end up with a slightly wonky cake... or if someone takes a bite before we're ready to serve! Recreate a snow-capped mountain with a little bit of white icing carefully drizzled down the side of your go-to chocolate cake. Next, grab a cheese grater and shave chocolate over the top, using both the fine and larger cutters to create some chunking chocolate curls and a fine dusting. A few crumbled freeze-dried raspberries will finish the cake perfectly. Try the 'a little bit of everything' cake decorating approach! An old Christmas tree decoration, a bauble, some leftover fruit and a lone chocolate from the tin... who said these can't be used to give a cake a makeover? Trust us, a little bit of experimentation can lead to a cake with real wow-factor. 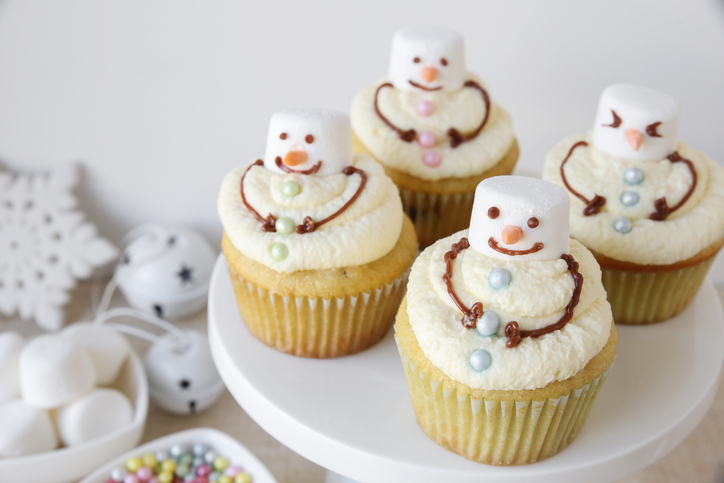 How cute are these melting snowman marshmallow cupcakes? By swapping dark chocolate for white chocolate you could make these cupcake, which are just a clever combination of marshmallows, buttercream, chocolate sauce and your bog standard sponge cake mix. The kids will love making these with you too! 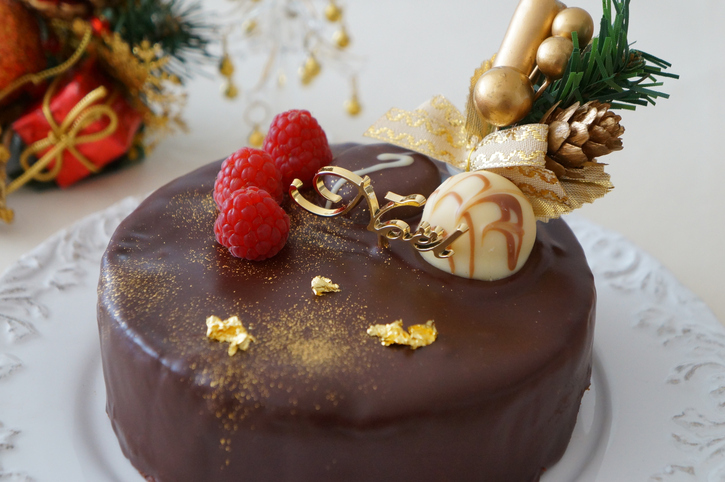 Nothing says indulgence like a cake wrapped in thick layers of chocolate buttercream, but you can always take things up a notch with gold pearl decorations. These added extras are easy to find in the supermarket and they're 100% edible, which means no one has to think twice before devouring a slice. 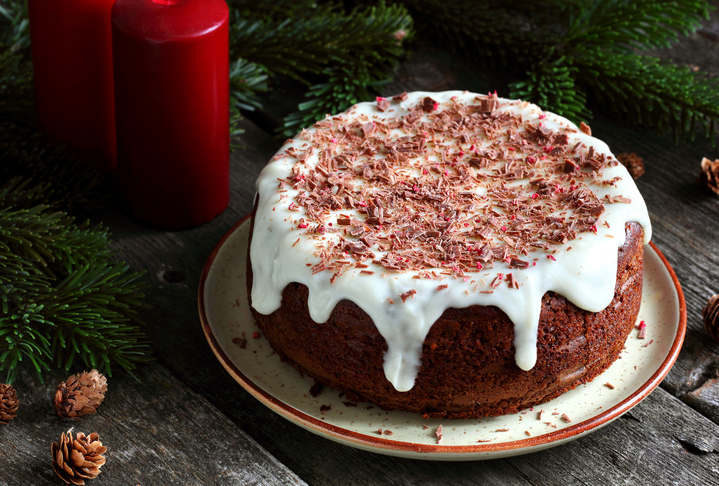 Transform your cake with a humble piece of paper... and some icing sugar! 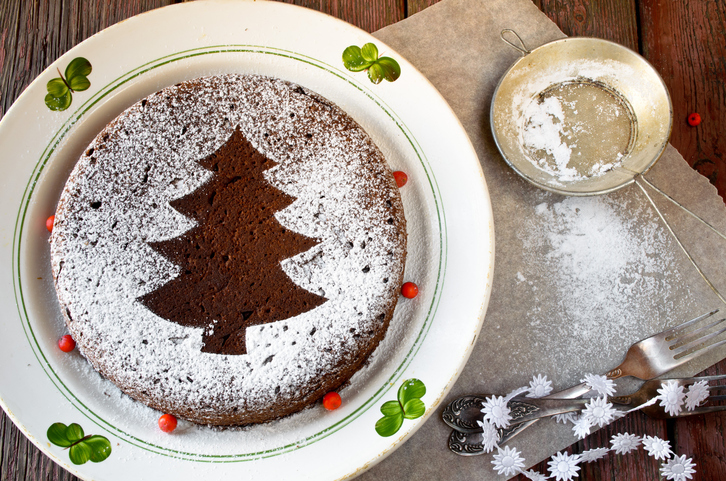 Draw a Christmas tree (or whatever you like) on a piece of paper, cut it out, and place it on the top of your sponge cake. Sieve a generous helping of icing sugar over your cake and, when the surface is almost totally white, lift the paper stencil off. Ta dah!